We’ve heard quite a lot about the alleged Samsung Galaxy S6 Active in the past few weeks. We’ve seen leaked images, renders and the alleged device was even spotted in the UaProf and certification bodies. Now, another press render of the alleged Samsung Galaxy S6 Active made its way to Twitter, courtesy of the popular Twitter leaker @evleaks. It doesn’t look much different from its preview iterations, offering users with a rugged form factor and is not as beautiful as the Samsung Galaxy S6 and S6 Edge. The handset will be exclusive to AT&T and will feature top-of-the-line specifications, similar to the Samsung Galaxy S6. There’s a 5.1-inch QHD display sporting a resolution of 2,560 by 1,440 pixels with a Exynos 7420 processor and 3GB of RAM on board. Other features includes a 16MP camera for photos and videos, a 5MP front-facing camera, 32GB of internal storage, a massive 3,500 mAh battery and ships with Android 5.0 Lollipop as its operating system out of the box. There’s no word from AT&T or Samsung about the launch of the handset, but it seems the launch is quite near judging by the leaks we’ve seen lately. 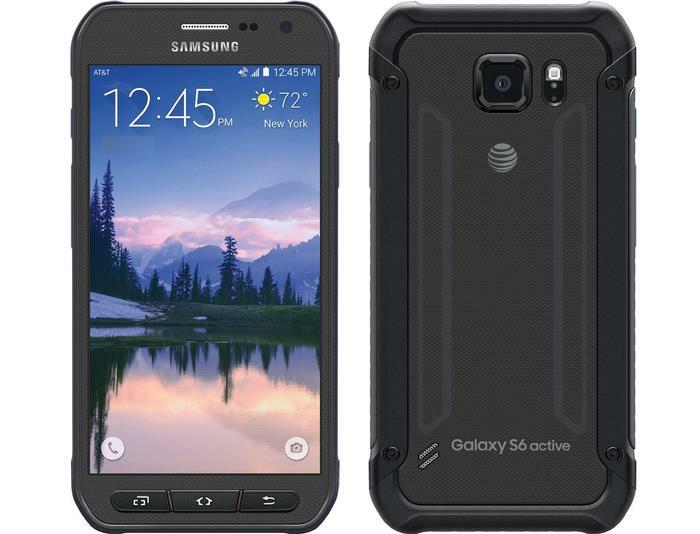 We’ll update you as soon as we get to hear more about the alleged Samsung Galaxy S6 Active.